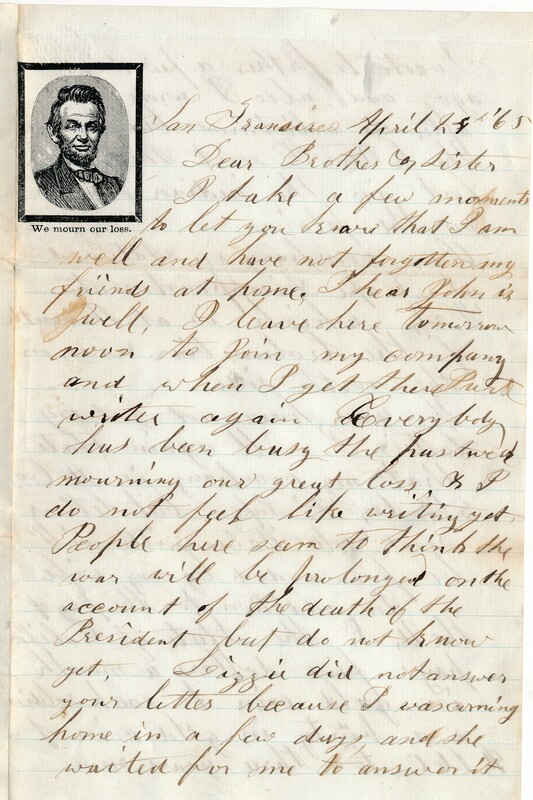 This is a letter from Danson C. Tolman (8th Infantry) of Watsonville, California to his sister, Miss Minott Johnan of West Camden, Maine, written on April 24, 1865. He wrote from San Francisco about mourning the death of the President, getting letters from home and his pay and bounty. Danson C. Tolman of Watsonville enlisted in Company 8, 8th Infantry, C.V. on November 17, 1865. He wrote from San Francisco on April 24, 1865 to his sister and brother-in-law, Mrs. Minott Johnan, West Camden, Maine. I take a few moments to let you know that I am well and have not forgotten my friends at home. I hear [brother] John [also of Company A] is well. I leave here tomorrow noon [on the steamer Oregon] to join my company [at Cape Disappointment, W.T.] and when I get there, I will write again. Everybody has been busy the past week mourning our great loss [The public funeral was Wednesday, April 19] & I don’t feel like writing yet. People here seem to think the war will be prolonged on the account of the death of the President, but do not know yet. Lizzie did not answer our letters because I was coming home in a few days, and she waited for me to answer it. I wrote to Father a few days ago, and also I wrote soon after or enlistment, but I think the letters I sent then were lost in the indian troubles on the plains. Our company is stationed at Cape Disappointment, W.T., which is at the mouth of the Columbia river on the north side. If you have not got my letters I will again state that my company is A Co. 8th C.V. Inf. 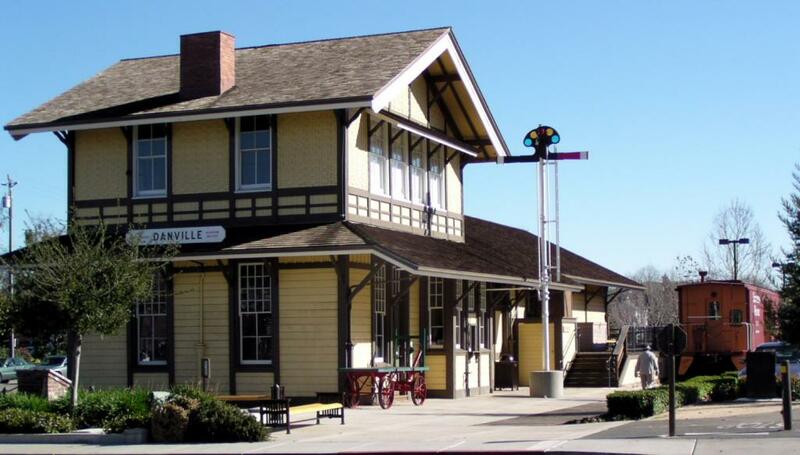 [Captain Clarence C. Smith], but letters sent to Watsonville will be forwarded by my wife. In addition to the pay of the U.S., the State of California pays five dollars a month in gold coin to each soldier & a bounty in gold coin of $160 to three years men, So you see, soldiering is good business here where there is no war.